Book 1 of the new series, Misadventures of the Cholua Brothers. 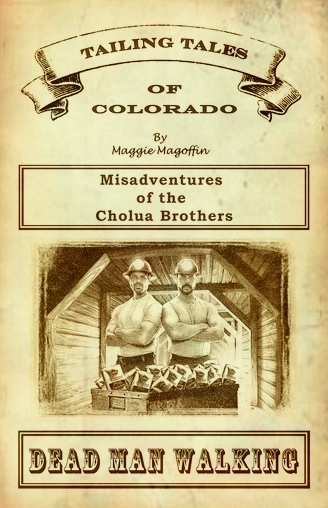 Set during the 1800's Gold Boom in Gilpin County, Colorado, the Misadventures of the Cholua Brothers follows Dane and Jake Cholua through hardships, challenges and romance in their never-ending quest to find gold. Implementing historical facts and adding a twist of wit and humor, historical fiction writer and columnist, Maggie Magoffin brings to life the legendary ancestors of these two modern day, coffee slingin' gold miners.